Amazon was tired of just selling smartphones, so they decided that it’s time to join the market, introducing a device which was supposed to take everybody by surprise, due to a set of unique features, never seen on other phones. 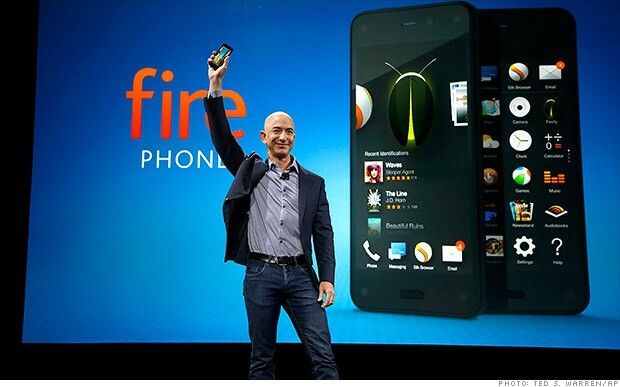 Thus, the Fire Phone was introduced last summer and Mr. Jeff Bezos and his team were very optimistic! But little did they know that the phone was destined to fail, even from the beginning, as the folks over USA Today claim. Launched last year, in June, the phone was apparently too late on the market. It’s true, the Fire Phone‘s main selling point was the Dynamic Perspective, a 3D user interface, based on the 4 front-facing cameras, but this was more like a gimmick. Users weren’t attracted to this even though the developers spend a lot of time on it and it even delayed the launch for a few years. Now, after more than a year since the launch event, Amazon finally reached a conclusion: the Fire Phone was a failed experiment and they decided to discontinue it. More projects from Amazon, coming soon? The same source mentions that Amazon decided to fire (no pun intended) dozens of engineers working at its hardware division, while other upcoming projects, like a tablet with a very big display and an image projector, were also canceled. On the other side, other projects, like computer able to take orders via voice commands and a new use for a 3D interface are still in the works. What is really weird is the fact that despite the Fire Phone was a fail, the company’s tablet line-up, consisting in Kindle models, was received very well by the market. Oh well, in the end, you can’t have everything. Hopefully, we will seen another interesting project from Amazon in the future, but way better than their first smartphone.